Across the energy sector, women make up less than 30% of the workforce. In some energy companies, the percent of women is even lower. And in the upper echelons of the board room and C-suite, it is lower still–women make up fewer than 5% of board seats at many industry companies. There are lots of factors that have historically contributed to this gender imbalance, but the good news is that just as more young women are interested in entering the sector, energy companies are making a concentrated effort to increase gender diversity. 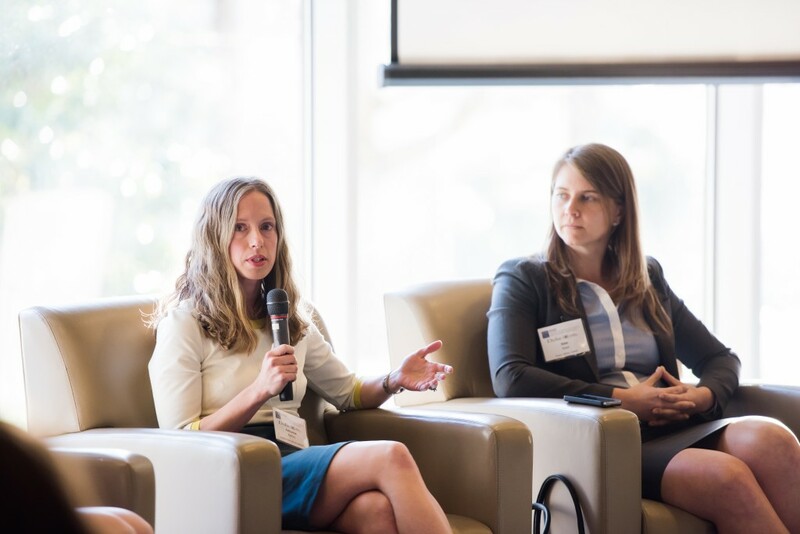 On March 23, Duke hosted its second annual “Women in Energy” event, convened by the campus-wide Duke University Energy Initiative in partnership with EDGE. 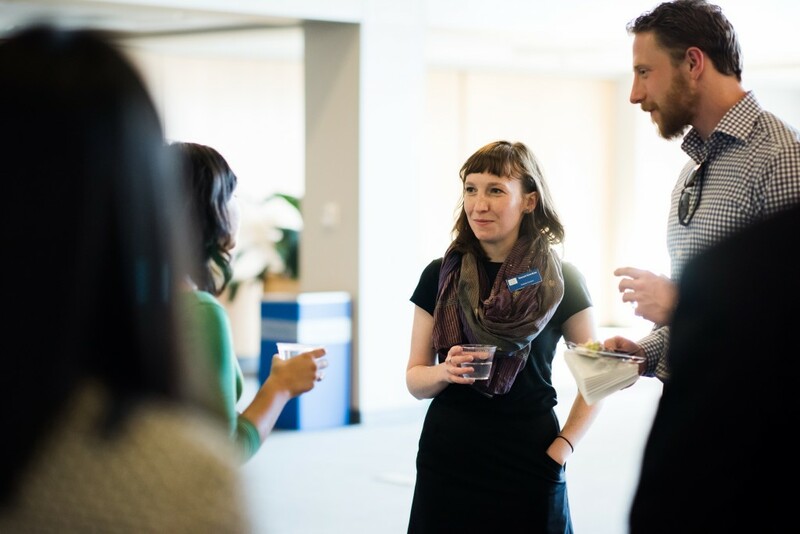 The event included open networking time before and after a panel discussion with women executives. Panelists included Scarlett Harrod, Global Program Development Manager for ABB’s Oil, Gas, and Chemicals business; Katharine Kollins, President of the Southeastern Wind Coalition; Marcia Walker, Principal Consultant for Energy & Manufacturing at SAS Institute; and Kate Steel, Senior Energy Advisor for USAID’s Power Africa program. It was moderated by Kross. “This conversation is not about elevating women at the expense of men,” Kross noted. “It’s about how all of us who enter the energy industry can benefit from a more diverse workforce.” The audience included about forty women and men–a mix of undergraduate and graduate students, Duke faculty, and local industry professionals. The newly elected co-presidents of Duke’s MBA Energy Club, Liz Finnegan and Naiwen Wong, greeted attendees at the door. This is the first time in its history that the club has two women at its helm. Duke University plans to continue and expand its Women in Energy event series. “We know that energy employers are actively looking to recruit more women,” says Kross, “We want to make sure that our female students look at the industry and think ‘this is a place I can see myself.’ ” At a time when energy jobs are on the rise, the sector needs talent from every corner.